Traversing the oceans in a cruseship, does no justice to the creative wonder of God. The water is an azure blue, panning from east to west, north to south, with no limit, evenly level, with ripples of waves breaking through the surface and the occasional splash of a large fish or dolphin the only glimpses of what lies beneath. Today I had the wonderful opportunity of scuba diving, in one of Gods incredible master pieces known as the Great Barrier Reef off the Queensland coast in Australia. It was my first diving experience and my only tangible understanding of what lied beneath before this dive came from vibrant images found in marine biology textbooks. But it didn’t take long for awe to fill my heart, and wonder to fill my eyes at the incredible intricacies and life forms that exist just under the surface. The Ocean just spelled “God”. But of more interest to me was the incredible homeostasis that existed underneath the surface. Coral of all shapes, forms and colours had grown wonderfully into vibrant communities, interlaced with various other coral formations all looking upright vying for that life sustaining sunlight. For those that don’t know, coral is not just some hard colourful rock, it is living and moving. Truly God was not wrong when he looked at the seas and what moved in them and saw that it was “good”! 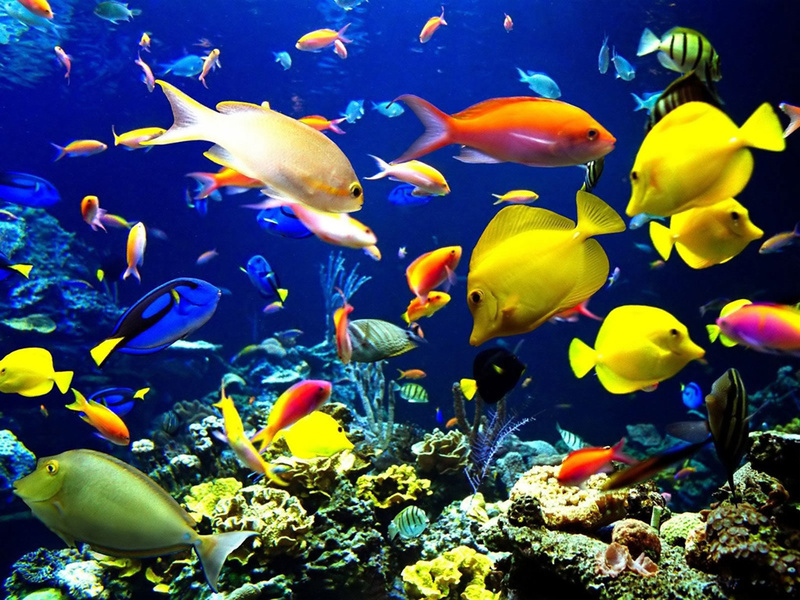 However of much more visual marvel were the myriads of fish species. Fish with various colours all exhibiting various forms of camouflage, small and large each going about its daily work with effortless ease and majestic sway. Diving amongst them was truly a humbling experience; man is seriously so blind to everything other than his own ways. Little does man spend contemplating on what lies beneath the ocean surface; it seriously is more diverse, than what exists on land. Much of it has yet to be discovered and it just yells all day to humanity, saying Glorify God, but how many actually listen. Nature truly magnifies His handiworks, but man seldom remembers that he too is not only part of nature, but in charge of it. So if nature magnifies His handiworks, what then is required of Man? Previous Post Humility In His Incarnation! Next Post Online Christian Bookshop? God’s work IS beautiful! This post makes me want to scuba dive more than I already want to!